Join us for a beach cleanup at Pineapple Willy's to help benefit B.A.S.I.C. of Northwest Florida! For each person that shows up to clean the beach, we will donate $10 to B.A.S.I.C. of Northwest Florida. There will be prizes and giveaways! 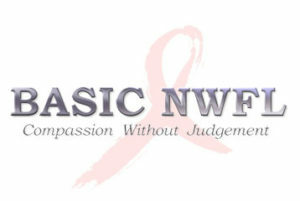 BASIC NWFL, Inc. is a volunteer governed, community-based organization dedicated to aiding, assisting, and comforting those living with HIV/AIDS, their families, and friends. At BASIC of Northwest Florida, we try to provide discrete and compassionate assistance without passing judgment. BASIC also provides awareness, education, advocacy, prevention, testing and substance abuse/HIV education to the citizens of Bay, Calhoun, Gulf, Holmes, Jackson, and Washington counties. The first round of voting for Best of Bay ends today! Please go vote for Pineapple Willy's and Wicked Wheel now and help us make Top 5! 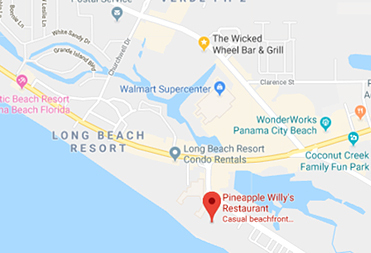 ©2019 Pineapple Willy's. All Rights Reserved.